Games Workshop's Warhammer 40,000 universe is very well known, and a familiarity with its massive volumes of lore will definitely help with immersion... but by no means is it essetional. For the uninitiated here's a very quick summary: "Human Space Marines good. Rampaging insectoid aliens bad. Purge the alien filth!" In fact that's pretty much the plot in a nutshell... and tbh what more do you need? Deathwatch really goes back to what GW does well; good old fashioned small squad turn based strategy action. It's very much in the vein of classic board games like Space Crusade and Space Hulk. 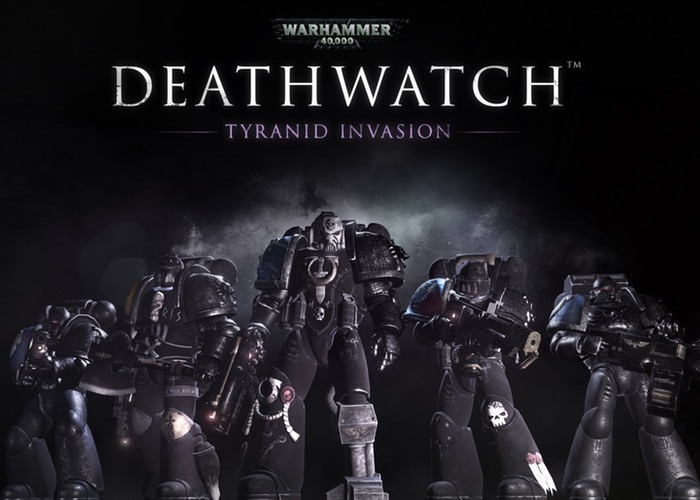 You have a personally selected squad of 5 Space Marines with which to wreak vengeance upon the Tyranids. Each unit has a set number (usually 4) of action points (APs) per turn. Most actions (move 1 square, attack) cost 1 AP, but some (mainly firing a heavy weapon) cost more. All pretty simple so far. But things get more tactical when you introduce Overwatch. In your turn you can use 1 AP to set a marine on Overwatch, where he will stand guard and use the rest of his APs in the enemy turn to fire at anything that crosses his line of sight. This is a crucial mechanic, as it allows you to set up defensive positions and wait for the enemy to break cover. There is an element of luck, as the array of marines and equipment available to you is determined by cards. At the end of every mission you get a card. At the end of every act (4 missions) you get a pack of 3 cards, which is guaranteed to contain at least one marine and at least one rare/high quality card. Unwanted cards can be traded in for requisition, which can be spent on card packs. You can also buy card packs for cash, but from what I can tell it's entirely possible to progress quite comfortably without spending any extra. Cards come in 4 tiers of rarity/quality. In general high tier stuff is better than low tier of course, but it's not quite that simple. Marines have abilities to unlock, and a high tier marine will have a lot more than a low tier one... but all this does require a lot of experience. Experience can be spent on unlocking skills, wargear slots or levelling up the basic stats: health, accuracy, critical chance. A top tier marine will have a lot of upgrade options, but will take much longer to get them all. Weaponry levels are very important too. Low tier weapons have low damage, but high accuracy. High tier weapons have much better damage and other bonuses, but generally very low accuracy. As a result high tier weapons are almost completely unusable by newbie marines, as they just won't be able to hit anything until they've pumped up their accuracy a lot. However, once high tier weaponry becomes reliable it's devastating! It's a good system, as it means that decent equipment must be earned - you can't just kit out a new guy in high tier stuff. Still playing this, and still loving it. Finished the missions on Normal, so working through them again on Veteran (there's a third difficulty to go - Heroic) and things are getting quite tense now. The step up in difficulty has made a big difference. Enemies do more damage, have more health and every so often an elite one spawns that's even tougher and has a random extra ability to mess you up. I cruised through Normal pretty comfortably, but now missions are getting tough and survival is far from guaranteed. I had been getting quite gung ho about charging in, but things are less forgiving now so much more caution is required.